To charge your devices in the car is something that you usually want to do but never actually do. Well, I can only speak from my own experience with an iPAQ charger, phone charger, and iPOD charger and so on. The biggest reason are all these charging devices you need to bring with you and you could fill a plastic bag with them. This USB charger is not the perfect solution to the problem but what it does for you are to let you use the smaller and smarter USB chargers that take less space. So, leave this USB charger in the car and put the USB dongles in your computer bag and then you can choose to charge you iPAQ or what you have either in the office or in the car. Anyway, it’s a very straight forward project. Have a look. 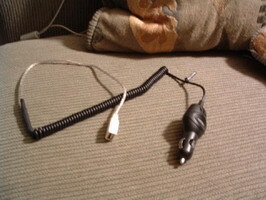 Create a USB car charger for any iPOD or other Device that Charges Via USB by splicing together a car adapter that outputs 5v and USB Female plug. The most important part of this project is to make sure that the output your chosen car adapter is between 4.75v and 5.25v otherwise you risk damaging your device. Please verify voltage with a voltmeter. I made one of these with a $5 charger and an old usb hub, then powered hidden sound activated LED tubes all over the interior of my car. Great fun for subwoofers. If you buy an OEM USB jack you can mount it in the dash in an unused accessory panel, seeing as that’s (kindof) what OEM jacks are for. You can then use 12v and a transformer directly from the battery, so your cig lighter is left unoccupied. I don’t get how to make it… THIS IS FRUSTRATING!